A sprawling industrial complex on the city’s Southside once eyed for mixed-use redevelopment appears headed for industrial use after a multimillion-dollar sale. 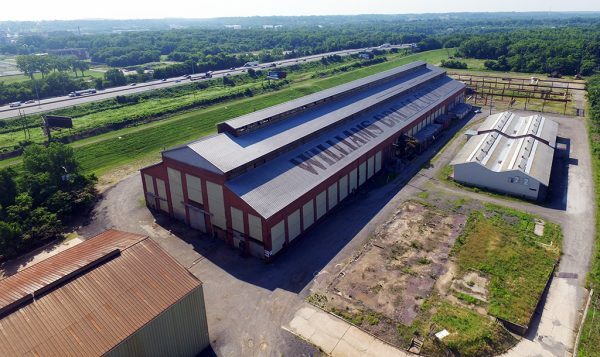 A business entity tied to Pennsylvania-based Kinsley Properties purchased the former Williams Bridge Co. complex this month for $7.1 million, according to city property records. 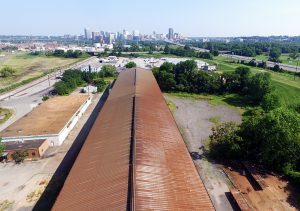 The 27-acre property at 700 E. Fourth St. and 1500 Goodes St. at the eastern edge of Manchester most recently was assessed by the city for about $3.8 million. The sale does not include a 20,000-square-foot warehouse at 702 E. Fourth St. located roughly in the middle of the site. The site had been placed under contract this year by another buyer who had sought to rezone it from heavy industrial to B-7 mixed-use, which encourages a broad range of uses including residential, commercial and compatible industrial. The rezoning application was withdrawn in late September, and Kinsley entered into an agreement with the original contract holder to terminate its purchase contract, according to multiple sources familiar with the deal. The arrangement cleared the way for Kinsley to purchase the site, according to the sources, who did not want to speak about the deal on the record. Kinsley is a development and commercial brokerage firm that has completed several build-to-suit projects for a variety of industrial and office users, according to its website. Several of Kinsley’s real estate holdings, mainly industrial sites, are in and around York, Pennsylvania. The transaction between the firm and members of the Frank Everett Williams Jr. family closed Nov. 16, according to a deed filed with the city. Frank Everett Williams III and Harold Arthur Williams, who have been tasked with handling the family’s affairs, could not be reached for comment Wednesday afternoon. Though previously eyed for mixed-use development, sources said an industrial user may be filling all or part of the complex. Details about the potential user were not disclosed. A Kinsley spokeswoman would not comment about the firm’s plans for the property, including whether it is seeking city or state incentives. The sources said restrictive covenants on the property would have made it all but impossible to complete a mixed-use project there. Other hurdles included right-of-way easement agreements from CSX Corp. and the Army Corps of Engineers. Put out of use last year, the Williams Bridge complex is comprised of seven contiguous properties and parcels, most notably the 119,000-square-foot warehouse building that was constructed in 1918 and is highly visible from Interstate 95. It also holds about 8 acres of mostly undeveloped property at its southern border. Williams Bridge Co. used the large manufacturing and assembly buildings for the preparation and shipping of major bridge components via the adjacent rail network on the site. At its peak, the facility employed hundreds of workers who resided in the nearby Manchester, Blackwell and Oak Grove neighborhoods. The Manassas-based firm ceased operations on the site in 2017. Note: This story has been revised to remove a phrase that said Williams Bridge Co. operated in the complex for 100 years. The buildings date back 100 years, but the company’s time there couldn’t be verified by BizSense. 6 Comments on "Williams Bridge Co. complex sells for $7M"
I don’t see how you can hope to have apartments that close to the sewage plant. You actually already have them that close or closer across the river at Rocketts Landing. The access to the site was very difficult for residential uses. Sometimes things are better left as they are and this is one of those sometimes. RIchmond Steel name was on it for years!